What I find amusing is that Norfolk Blogger has blown his top at the giving of extra publicity to the Green Party, and, by means of doing so, has of course... given extra publicity to the Green Party! Nice own goal there, Norfolk Blogger! Thanks!! <?xml:namespace prefix = st1 ns = "urn:schemas-microsoft-com:office:smarttags" />Norwich Airport and the airline 'Flybe' are making national and international headlines today in the worst possible of ways. Flybe recently hired actors to fly on extra flights that it laid on specially, and pointlessly, in order to reach targets for passenger numbers laid down by Norwich Airport. Norwich City Council is a shareholder in Norwich Airport. My comment on this: "This story is an absolute farce. Flybe have brought disgrace upon themselves and upon Norwich Airport through their actions. What is needed now is for Norwich Airport to alter their rules, so that never again are there economic incentives on airlines to engage in this kind of systematic deception and utterly anti-environmental behaviour. For example, a charge made by the Airport per flight upon airlines would discourage empty or extra flights, and incentivise airlines to fill up what flights they laid on with bona fide  paying!  passengers. Norwich City Council is a shareholder in Norwich Airport, and the Leader of the Council has a seat on the Airport Board. The Green Party Councillors will therefore be pressing the Council to use their influence on the Airport to make these much-needed changes. Never again must an airline put on extra flights and hire fake passengers in order to make money at the expense of us all." CAROLINE LUCAS MEP TO LAUNCH NATIONAL GREEN PARTY LOCAL ELECTION CAMPAIGN IN NORWICH! national Green Party local elections campaign in Norwich. to launch the Green Party national local election campaign. projected to become the second party on the Council. and, of course, a vote for seriously tough action on climate change. it matters - at the ballot box. All are welcome to come and support at this event! The race for London Mayor is hotting up. It is closely-contested by Labour’s Ken Livingstone and the Conservative’s Boris Johnson. However, and thank goodness: the election system used for Mayor of London means that voters can pick whoever they want as their first preference and then transfer their vote ‘tactically’ using their second preference vote. The Lib Dems are polling poorly, and are likely to drop below their score of 2004. Green Party candidate, Sian Berry, is charismatic and dynamic, and it may well be that it is the Green Party that profits this time from this ‘alternative vote’ system. In short: Sian Berry is increasingly likely to get the highest-votes ever received by Mayoral candidates for the Green Party in a mayoral race. I'm in the probably-unusual situation of being friends with both Boris and Sian. Boris and I went to College together at Oxford and studied Philosophy together. Back then, in fact, we were political allies! Although we have totally diverged politically since then, we have stayed in touch. We saw each other last last summer, at Henley Regatta, on the Thames. 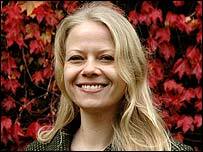 I have known the Green Party candidate for London Mayor, Sian Berry, for several years now; she has visited my home and helped me and others to get elected to the Council in Norwich, and I have often visited with her in Camden and worked with her on her campaigns in favour of Green energy and against urban 4x4s. Sian would make a brilliant Mayor [http://www.independent.co.uk/news/uk/politics/siacircn-berry-green-party-candidate-for-london-mayor-you-ask-the-questions-793615.html ], and it would be fantastic to see Green policies transforming our capital city. In terms of who would get my second preference vote; I’m not sure- but I’m afraid it definitely wouldn’t be Boris. He is an affable guy, and smarter than he looks; but the Mayor of London has to be someone who can actually run the country’s capital city. I don’t think that that would be Boris’s forte. Hosting “Have I got news for you” and running London are not really comparable enterprises…. I think that that probably makes sense. I bet there will be lots of 'Sian 1 Ken 2' votes, this time. Loads of people should vote Green, this time, and at the very least make sure that we get our big fat deposit back. But IF it comes down to Ken vs. Boris on second preferences, then surely Ken has done enough good as London Mayor to deserve a third term. Could you help Norwich make history, this year? Norwich Green Party: Help needed on polling day. We need help throughout the campaign. But: If you can only choose one day upon which to help us, then please choose Polling Day. Apart from many other jobs we are aiming to staff lots and lots of polling stations with 'tellers' (smiling people with Green rosettes sitting outside polling stations) between 7am and 10pm. (15 hours). That makes about 600 person-hours just for that one vital job - a job which anybody (with a smile) can do! If you or someone you know -- forward this message to them? -- could give us just a few hours, or even better, the whole day on May 1st, we will get nearer our target. It is a fact that with just a few extra person-hours last year we would have gained that extra vote! Just ONE vote! Get back to me, if you'd like to, on this. Excellent post here from feisty green economist Molly Scott Cato. Greens are at the leading edge of what will be a growing movement, in this truly disastrous period in the world finance markets and economy, to stop the rot in a way that does not merely create a further bubble. Because that is what the Fed's actions yesterday - in reducing interest rates further and creating yet more liquidity - risk doing. If they see off this crisis -- I don't believe they will, but IF they do -- they will do so merely by sowing the seeds of a greater crisis in coming years, by blowing debt and investment bubbles yet bigger. The main Parties are timid on this issue. They are afraid to challenge big money. And they have no real solutions to offer. We Greens do. HGVs in Newmarket Road bus lane? the Green Party, the LibDems, and others. Officers at County Hall, over the next few weeks. The Eastern Green Party’s Action Saturdays continue to be a success in providing an opportunity to exchange campaigning techniques as well as delivering important support where it is needed around the region. In the run up to the local elections this extra support will be crucial to reaching our goals on May 1st. Action Saturdays consist of a full day of campaign activity, including canvassing and leafleting. It is also a great chance to find out first hand what different local parties are doing, discuss strategies and become inspired from each others progress. Accommodation for overnight stay is usually available, and local parties often put on a social event in the evening to celebrate a good day’s campaigning. Click here for details of the first event on Saturday March 29th, and here for details of the following four events! Hope to see you there! Low interest rates and easy money in the States and in Britain, and almost everywhere else, led to a crisis in the ’sub-prime’ mortgage market and then a credit crunch, which has brought on fears of a recession in the States and in Britain, and almost everywhere else. After a series of interest rate cuts, the latest response of central Banks including the B of E and the Fed has been $200bn of more easy money released by the latter and aggressive open market operations by the former directed towards the same end, along with co-ordinated actions to ease credit by all the other major central banks around the world. But let’s get the next part of the story straight - what will happen over the next several months/years, unless the current policy direction in these central banking institutions changes. Eased credit in the States and Britain leads to a further bubble in the ’sub-prime’ mortgage market and in other such dodgy financial markets (and probably also a sudden surge of inflation), which in due course will lead to a still worse crisis, and thus quite probably to a full-blown depression. The US and UK nowadays are debt-ridden - debt-sodden, debt-addicted - countries, mortgaged to the hilt. The Fed and the B of E have just redoubled that truth. Britain could draw a line in the sand here. Britain could do what needs to be done: we could initiate a strict re-regulation of the financial markets. How so? Because the City of London is now in many respects the centre of the financial world. If our kingdom indicated a firm intention to re-regulate big money, it would start to happen, and could build momentum around the world. However, it won’t be easy. One reason why is of course the sheer depth of our addiction to debt. Another reason is that our neo-liberalised political system is ill-suited to taking such firm politically-led action on the world of finance. Gordon Brown may yet come to rue the day that he set the Bank of England ‘free’ to set its own interest rates etc. The current crisis is exactly the kind of moment when a government needs to have the levers of financial power in its hands, if it is going to get serious about stopping the debt-addiction that is poisoning the world economy, and that will bring down much more than just Northern Rock if it is allowed to continue. In order to achieve financial sanity, we may have to reform our political economy in ways that run exactly contrary to the free-market orthodoxy that all the ‘main’ parties in this country now mainline on. A retrenched financial system may require a political system that takes back very significant freedoms that for the last 22 years or so (since ‘the big bang’) have been accorded to the City and that for the last 11 years have been accorded to the Bank of England. But this needs to be done. We are living beyond our means. It is time to get real. It is time for some thrift. It is time to stop believing that economies can keep growing, and debt keep rising, without a reckoning. It is time to admit that the days of easy money are - ought to be - over, and to retrench. Through what they have just done, the Federal Reserve and the Bank of England have simply blown a new, bigger bubble that will really bring the whole house of cards tumbling down further down the line. These fantasists (see Larry Elliot’s powerful analysis thereof and his prescriptions to solve the problem, from which I partly draw here) who believe that they can con themselves and everyone else into eternal debt and eternal growth will pay a terrible price. Whilst being trailed as a Green Budget, Alistair Darling's speech revealed it to be predictably a very Brown one with the barest tinges of Green around the edges. Before the Budget, the Green Party called for a genuinely Green approach as the urgency of tackling dangerous climate change becomes ever more acute. According to the recommendations of the Stern report - an economic assessment on climate change produced for the Treasury - Gordon Brown should be ensuring that the UK invests at an absolute bare minimum at least 1% of GDP per annum on reducing carbon emissions - but that's not happening and the Labour Government shows no sign of grasping this issue. A truly Green Budget would have delivered a major investment programme for renewable energy, reductions in energy demand through efficiency and the scrapping of airport and motorway expansion plans. In his speech, Alistair Darling claimed yet again that the UK is a world leader in tackling climate change yet failed to reveal that under Labour, carbon dioxide emissions have not fallen since they came to power in 1997. "Gordon Brown's first budget as Prime Minister was an historic opportunity for Labour to have actually put its green rhetoric into action. But predictably, apart from a few Green tinges around the edges, Brown and Darling have not taken the opportunity. This was clearly still a very Brown Budget, not a Green one. The Chancellor cannot seriously claim to be acting on dangerous climate change when he boasts today of "increasing capacity on the roads ... delivering a fifth terminal at Heathrow ... and more runways at Heathrow and Stansted." own ration, for free -- by contrast, fuel tax and other carbon taxes are regressive. We also welcome the rise in aviation tax; let us remember that it is mostly the rich and business travellers who benefit from 'cheap' flights, and it is they who will mostly pay this tax. But: any reductions in emissions from these measures will be blown away by the huge expansion of motorways, airports and urban sprawl being so aggressively backed by Labour. Finally, we heard about postponed measures on carrier bags and energy efficiency in buildings. These proposals are totally inadequate. Urgent action is needed to tackle the problem of manufacturers and retailers churning out vast quantities of non-recyclable plastic bags and packaging that end up either in landfill or being incinerated. And on building efficiency, its more of Labour's favourite trick of jam tomorrow. Their zero carbon proposals on housing and non-domestic buildings are all postponed well into the next decade. Local planning authorities need the powers now to require low and zero carbon developments, but the Government has consistently refused to do this." This is from Medialens - please read, the topic is vital and the data is chilling! The horrific shooting of eight young people at a Jewish seminary in Jerusalem last Thursday was followed by saturation media coverage. International statesmen lined up with condemnations of the attack and condolences for the victims and their families. The contrast to reactions to the killing of over 120 Palestinians, including many women and children, in occupied Gaza the previous week could hardly be more striking. On one day alone, 60 people died in a hail of Israeli firepower using F-16 planes, Apache helicopter gunships, tanks, armoured bulldozers and ground troops. No Western leader was heard condemning the Israeli assault on Gaza as “an attempt to strike a blow at the very heart of the peace process.” To our knowledge, no reporter suggested that “the peace process” had now “died”. No headlines screamed of Palestinian babies “murdered” in their beds. In short, news reports from the Gazan bloodbath typically lacked the anguished details and tone that suffused the reporting from Jerusalem less than a week later. "What happened today is a massacre, a slaughter against the Palestinian people. But for the Western media the massacres that really matter, the ones which “strike a blow at the very heart of the peace process”, are those inflicted on Israelis. The humanitarian crisis in Gaza is now at its worst since the occupation by Israel began in 1967. More Gazans are dependent on food aid than ever before: fully 1.1 million out of a population of 1.5 million. Hospitals are suffering the longest power cuts yet experienced, record levels of raw sewage are being pumped into the sea, and the economy is at its most dire with unemployment set to exceed 50 per cent. (‘The Gaza Strip: A Humanitarian Implosion’, March 6, 2008; http://christianaid.org.uk/images/gazareport.pdf). Is it any wonder that the people of Gaza are in despair? “We missed the original publication of John Dugard's report, but are intending to write about its formal presentation to the UN later today. This response is noteworthy, even for the BBC's usual shameful record. There was no mention of Israel’s responsibilities as the occupying power, or its repeated and brutal transgressions of international and humanitarian law over forty years. Human rights groups, such as Amnesty International, Human Rights Watch and B’Tselem in Israel, have documented many grave breaches of the Fourth Geneva Convention, constituting war crimes. Little of this fundamental context ever makes it into BBC news reports. Instead, the BBC focused exclusively in its reply on the obligations of “an occupied community” which has been continually attacked and impoverished by an Israeli state that is massively supported – financially, militarily, diplomatically - by Washington. The anonymous BBC official who wrote that “while terrorism may be an ‘inevitable consequence’ of the occupation, that does not mean it is somehow legitimate” was answering a strawman argument of his or her own invention. Neither Media Lens nor the UN Special Rapporteur claimed that Palestinian terrorism was “legitimate.” Indeed, had the BBC employee read the report, he/she would have seen that Dugard had condemned Palestinian rocket attacks on Israel’s civilians as “war crimes”. As promised, the BBC news website did indeed write about the Dugard report; it devoted all of 168 words at the bottom of a short news item. The item noted blandly that unspecified “scheduling problems” meant that the report would now be presented to the UN in June rather than this month. (BBC Online, ‘UN alarm at Gaza-Israel violence’, March 6, 2008; http://news.bbc.co.uk/1/hi/world/ middle_east/7281711.stm). For the Special Rapporteur’s assessment to be shunted to one side by the ‘international community’, even as the slaughter in the Middle East continued, was horribly ironic. The possibility that power politics might have been at play in the alleged “scheduling problems” appears to have eluded the media’s scrutiny. Bowen’s assertion simply does not stand up to scrutiny. In our March 3 alert, we cited the testimony of former BBC Middle East correspondent Tim Llewellyn who pointed out that ‘balance’ is “the BBC's crudely applied device for avoiding trouble”. This inevitably leads to a clear news bias towards the viewpoint of power residing in Israel, Washington and London. And while the BBC and other news media continue to pump out propaganda about the Middle East, the “cost of doing business” is only too obvious to the victims and anyone who cares about them. The BAA has today announced its planning proposals to turn Stansted into a massive airport larger than Heathrow is today, by building a second runway and expanding across the fields of Essex. Such a proposal was specifically ruled out by the planning inspector and the Government in the 1980s when Stansted waas orginally given consent to expand following a public inquiry. The proposals would result in catastrophic damage to the countryside of Essex and are being fiercely opposed . People's homes would be bulldozed. There would be a huge increase in jet flights which would raise noise levels over Essex and nearby counties to unprecedented levels, causing annoyance, sleep disturbance and harm to children's education. Road traffic levels would soar, making today's jams in Essex seem minor. A second runway and all the extra buildings that would go with it would be followed by a forest of planning applications for housing developments, business parks, warehouses, hotels, etc. Light pollution from the airport, already bad, would become severe. And on top of all that, the emissions of carbon dioxide, nitrogen oxides, ground level ozone and other gases from the airport and its activities would multiply, polluting the air and adding to climate change. The BAA's expansion of Stansted would be so large that it would at a stroke cancel out all the efforts of Essex residents, local authorities and businesses to tackle climate change. "People living around Heathrow know all too well what the BAA has in store for East Anglia. Under the Heathrow flightpaths, quality of life is severely harmed. It is hard to get proper sleep and there is no escape from the constant presence of the airport. It is utterly irresponsible for the BAA to now plan the same for this region. Stansted cannot be allowed to become a second Heathrow. People have already voiced their clear opposition to plans to expand the airport on one runway - that opposition will now get even stronger. Uttlesford District Council took the ground-breaking stance of rejecting expansion on one runway, partly because of the climate-dangerous impact that more flights would have. They were right to do so. If I am elected Euro-MP for Eastern Region next year, I pledge to take all necessary steps to ensure that Stansted does not blight our skies and our quality of life with any further expansion; and, in the meantime, I pledge to oppose with resolve the efforts by BAA to try to over-ride the wishes of the people who live in the area. We do NOT want a bigger, noisier, more destructive Stansted." "The BAA's plans are nothing less than lunatic. For the sake of cramming more people onto ever more cheap flights, the BAA seem happy to be causing so much alarm and to be threatening so much damage to Essex and nearby counties. These are the plans of those driven by corporate greed and blind ignorance to what they are inflicting on communities and the environment. The battle over the second runway at Stansted, and the third at Heathrow will be crucial to not just the future of the areas most directly affected, but the future direction of policy in the UK and internationally. Right now, it is often the poorest people suffering the impacts of climate change in Bangladesh, island communities in the Pacific, Africa and elsewhere. Scientists could not have made it clearer what the consequences will be if we do not cut greenhouse gas emissions. This will be a battle between the BAA and their friends in Westminster and ordinary people and communities, both in the UK and across the world. " The Budget: Green or Brown ? With the Budget to be delivered in parliament by the Chancellor on Wednesday March 12th, the Green Party is calling for a genuinely Green approach, not a Brown one. According to the recommendations of the Stern report - an economic assessment on climate change produced for the Treasury - Gordon Brown should be ensuring that the UK invests 1% of GDP per annum on reducing carbon emissions - but its not happening. Whilst the Labour Government under Gordon Brown has continued to make the right noises about tackling climate change the reality of its actions is very different. 2008 is set to be a crunch year for the UK on the issue of climate change. Government decisions are expected on a third runway at Heathrow, expansion of Stansted airport, urban growth proposals and major road schemes, many of which could impact on Eastern Region. If the go-ahead for these is rubber stamped by the Government, UK carbon dioxide emissions will continue to rise, more homes will be at flood risk and the quality of life of millions of people will be hit by increased traffic, air pollution and noise. Transport is becoming a key political issue. Whilst there is clear demand for better public transport, fares remain far too high and overcrowding on key routes is becoming unbearable for thousands of people. The Green Party is calling for major road schemes designed to get even more cars and lorries on to the roads to be scrapped and for the money to be invested in public transport. Whilst Labour claims it has improved local services, the reality for many is one of community hospitals closing, threats to village schools, loss of their local post offices and pubs and inadequate services in dentistry, mental health and many other sectors. And whilst big business enjoys ever more generous tax breaks and generates massive profits, many small businesses struggle due to regulation and taxation bearing down proportionately more heavily on them. Small businesses employ around half the workforce of the UK and the sector is growing - with around 5 million small businesses now registered. "On March 12th the Government has an opportunity to introduce a truly Green budget, as we would do if in power. Its high time Brown and Darling stopped pretending they are tackling the major issues that people care about and actually started work on them. The expansion of Heathrow and Stansted should be scrapped, along with proposals to build and widen more motorways and trunk roads. Investment should instead be directed into a rapid improvement in public transport networks and safety on the roads, to give people good quality and sustainable choices about how they travel. The damage being done to local public services must stop. The budget should include provision for much greater local autonomy on public services and financial support to ensure that vital services such as post offices, community hospitals and village schools do not decline further. Specific health services such as dentistry and mental health need urgent support to halt the decline in service delivery to people. Investment in these areas would give a boost to people's quality of life and help reduce the incidence of long term illness. Finally, if this is to be a genuinely Green budget, we hope the Chancellor can at last address the inequities in the taxation regime for the environment, sustainable building and small businesses. Taxes on pollution must increase, whilst taxes on sustainable activities are reduced. There is a clear justification for increasing taxes on aviation and a similar justification for cutting taxes on eco-friendly transport. There is an urgent need to help bring back into use the hundreds of thousands of empty and run down properties in the UK via changes to the tax system. Volume developers are currently financially encouraged to build on greenfield sites, often in flood risk areas. The Government should do much more to encourage locally based firms to improve existing housing and use appropriate brownfield sites which are often in more sustainable locations." We are writing following the Ministry of Defence's announcement on March 5th that it had withdrawn its opposition to three wind turbines at Hethel in South Norfolk (Eastern Daily Press, March 6th). We welcome the news that this objection has been dropped and hope that this is a positive signal for renewable energy development in East Anglia. This industry is crucial to our region and also in fight against dangerous climate change. However, just a few weeks ago, the MoD told planning officers at South Norfolk District Council that they could not even guarantee that replacing the RAF Trimingham radar with the latest technology in 2009 would solve the problem. Because of the lack of certainty, even after 2009, South Norfolk Council planning officers recommended refusal at the planning meeting late last year rather than a Grampian planning consent that would have allowed development to procede as soon as the MoD withdrew its objection. We believe that this unfortunate recommendation then 'opened the door' for further delay to this project: because of a vocal (though minority) anti-wind energy campaign locally, the application was subsequently refused on additional grounds that were not made in the planning officer's recommendations. We believe that this outcome would have been unlikely if the recommendations had been for a Grampian consent in the first place. If the MoD had carried out the same detailed analysis in the first place, that has now apparently been done as a 'detailed re-appraisal' following the planning refusal, then much time and money could have been saved. This indecision and change of mind has been a particularly unnecessary fiasco for the company and to the nation in delaying meeting our renewable energy targets. We believe that it needs investigation given that it has been Government policy for several years that wind energy and national defence radars should be able to interoperate. In July 2005, Mr Wicks, you announced yourself that there was 'a well established collaborative programme of work aimed at enabling wind energy and aviation activities to co-exist in safety'. We believe that the company and the public deserve an explanation from the Government for the sudden change of mind and the industry needs guarantees that this won't happen again. We are, therefore, calling on you as the ministers responsible for Energy and Defence departments to launch an enquiry into the MoD advice given on the Hethel application and to ensure that these problems won't happen elsewhere. We request that one outcome needs to be a clear statement of the status of all the wind applications both those to which MoD have previously objected and also on vital new projects such as the large offshore farm being planned ten miles out to sea from Sheringham, North Norfolk. We hope that you take our concerns seriously and we look forward to your response. This makes chilling reading. Vote Blue go Dead? crisis has been solved by man's capacity to adapt, using new technology. rapidly to decarbonise the economies of the world. slightly more recently than my hon. Friend-probably about 30 years ago. theories that I hope that my hon. Friend will do his best to explode. decisively scotched-of course, it is complete nonsense. Mr. Tyrie: There are a lot of measurement problems with global warming. the warmest in the last millennium. Mr. Andrew Smith (Oxford, East) (Lab): I am pleased that the hon. imperative for us to act? moment as it is why I have initiated this debate. vigorously, so a fierce debate is going on about this. fundamental change in our way of life and will leave us less well off. through the consequences, or the alternatives. right hon. Member for Oxford, East (Mr. Smith). on many of those matters. Mr. Mark Field: Like my hon. Friend, I have a sceptical frame of mind. clearly not enough to justify a complete restructuring of our economy. atmosphere against policies to adapt to warming once it has happened. question is: is he right? read out all the names, but what about a few more from the home team? costs of decarbonising the economy. economic community took a great deal of bravery in the 1950s and '60s. matter-that there was a breakthrough to enable us to re-examine it. are rushing to take action about which we should be very cautious. Philip Davies: This is not just a question of Nick Stern. My hon. have sent it out to every school in the country. Does my hon. Friend agree that that is more propaganda than science? I do have a bit of time. 1. 2. 3. Rupert's Read: March 2008 4. 12. 15. 18. 19.